Analysts say with most builders getting input credit benefits on the key raw materials they buy, the base price may go down. CHENNAI: Lack of clarity over certain provisions of policy issues like the goods and services tax (GST) and the Real Estate Regulation Act (RERA) has put real estate players in a bind. According to real estate consultancy Colliers International India, RERA and GST compliance will remain a challenge for several developers for at least the next six months. Developers are likely to speed up construction post RERA but uncertainty with regard to prices of construction materials may impact the pace in the short term, it added. For one, input credit will not be sufficient enough to bring down the price. “Prices of the luxury housing may see a rise in construction cost as most of the input materials are in higher tax brackets of 18 per cent and 28 per cent, while the prices of only a few materials have come down,” said R Kumar, owner, Navin Housing. Referring to the GST impact as an ‘avalanche’, he said, “We are not being able to cut costs on products because the new tax regime is only pushing up the input cost along with the purchasing cost from a buyer”. 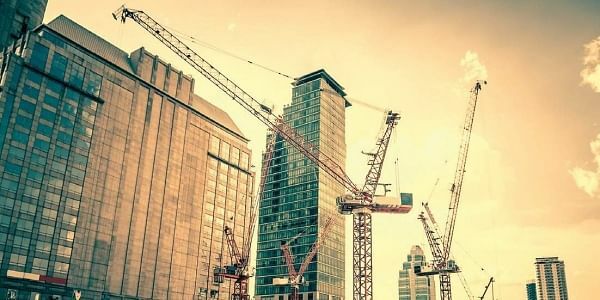 According to Gurjot Bhatia, managing director, project management group, CBRE, South Asia, the main issue the construction industry is facing is the understanding of the input credit policy. Analysts say with most builders getting input credit benefits on the key raw materials they buy, the base price may go down. However, input credit benefits account for a negligible sum as construction cost is a small percentage compared to land cost, which occupies a greater percentage of the home sale price. “We expect a decline in the number of launches in the second half of 2017,” Colliers added. Realty stocks are also likely to remain subdued for a long time, especially those with exposure to the residential segment due to the persisting weak conditions this year.